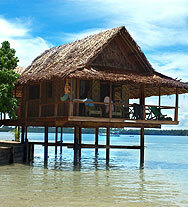 From a single day of diving to extensive accommodation and dive packages. Tanks, air, weights, guide and reef fees are included. Fresh tropical fruit, cookies and rainwater is provided between dives. Dive Rates Incl. 10% GST. Valid until 31st December 2018. 1 Day introductory dive for beginners – perfect to discover if scuba diving is for you, this morning activity will have you diving on the reef by lunchtime! This is your full ‘Open Water’ certification course, recognised at dive centres around the world. 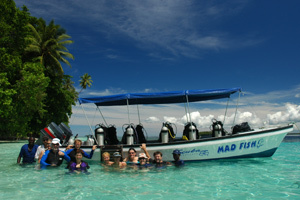 Includes tuition, confined water training, 5 open water dives, Manual, Recreational Dive Planner, log book and all fees. Price does not include: travel insurance, personal expenses and PNG safety and environment fee of K12.00/day payable direct in PNG. Contact Us to make inquiries and book this awesome offer!